As the president of Atcemsce, I remember the struggles during my college days. Every dollar then helped me become the person that I am today, and as a way to give back, the staff and I decided to have our own first annual scholarship contest. A prize of $1,000 will be awarded to the student that best meet the eligibility rules. Please pay close attention to what is required or your entry might be discarded without any consideration for the one-thousand dollars prize. All applicants must either be a U.S. citizen or legal resident Alien with residence in one of the fifty states or the District of Columbia, famously known as Washington D.C.
All applicants must be currently enrolled at an accredited University or accepted for the 2017/2018 school seasons. You just need to select one topic and create a compelling 700 to 2000 words essay conveying your views. Keep in mind that it is not the number of words that matter, but creativity, originality, and coming up with ideas, will get you extra points. Feel free to link to sources to make your argument compelling. Entries containing less than 700 words will be rejected, but feel free to go above the 2000 words limitation if you have much to say about your selected topic. Plagiarism of any kind will get your entry discarded. Your entry should only be in English, and all other entries using other languages will not be entertained. It is better to write from the heart using your own personal experience or the experiences of close friends or those you know. You create a compelling case if you can write about what you’ve seen or witnessed personally. By participating in this contest you agree that the submitted content becomes the property of Atcemsce.org regardless if you win or not. We reserve the right to publish your essay on our site for marketing and branding purposes. You also agree to only submit one entry, as duplicate or multiple entries will automatically be grounds for dismissal. English is the only language to be used, all others will be discarded. The winner of the scholarship will be notified by email or direct phone message if it is provided. If we do not hear from you after 7-days, the one thousand dollars prize will be awarded to another well-deserving student. 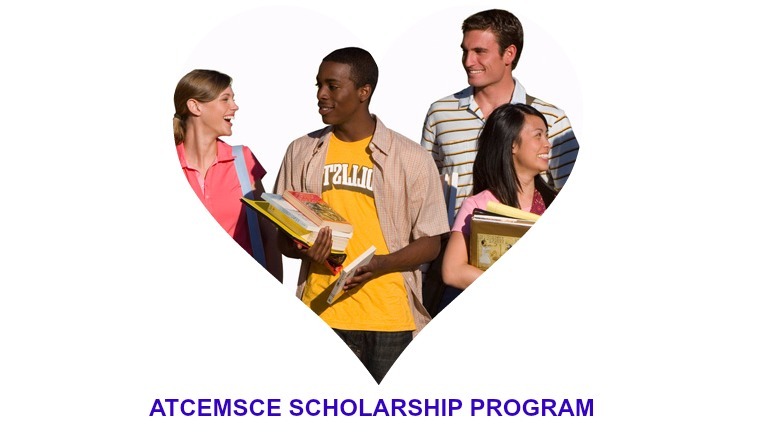 The winner of the College Student Scholarship Program will be required to send an image after notification, which will be published on our sites as a way to prove that the scholarship was awarded. If you do not send any image, your prize will be awarded to another contestant. The winner will get the funds to use for the 2017-2018 school year. You have a choice as to how you want to receive your funds. We can send a bank check directly to you at the college or we can electronically wire the money into your bank account. Once the $1000 prize is awarded, we hope you apply it responsibly to help defray some of your present college cost. Do note that all potential federal, state or city taxes associated with the prize is the responsibility of the winner. GOODLUCK, and do send your entry to – scholarshipatcemsce@gmail.com before the deadline August 31, 2017.